This blog includes posts about talks, performances and new pieces of work, ranging from installation to illustration, animation and games design. Nigerian Pavilion – "No Flares Just Light"
Short project in August producing a "utopian" map of Nigeria for the Nigerian Pavilion at the first London Design Biennale showcased at Somerset House. 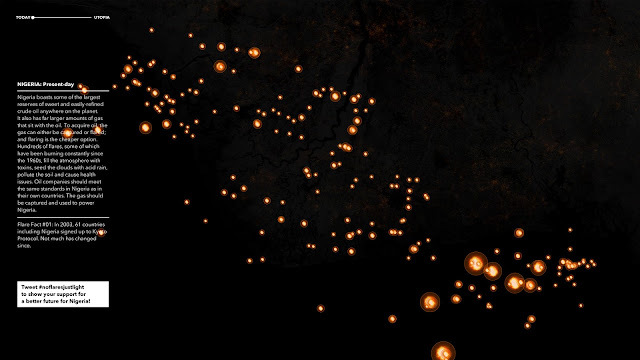 I constructed a high-res map of Nigeria using image data from Google Earth showing both a current view of Nigeria's Port Harcourt area and the surrounding gas flares (using data from gasflaretracker.ng) and a "utopian" version, where the energy from the gas flares would be used to light up roads and towns around the country. 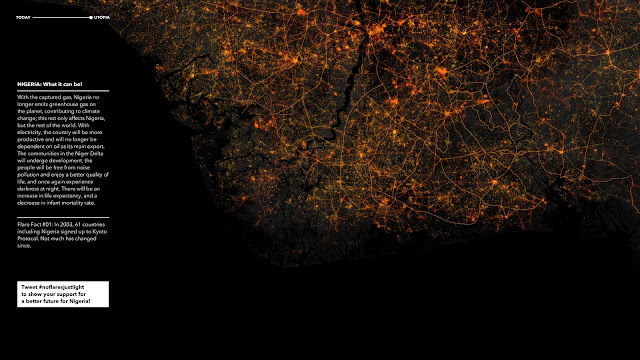 Collaboration with Shobhan Shah who added the map imagery to Processing to have the flares gradually disappearing as the cities begin to light up and an interface on the screen for Twitter messages to pop up whenever a tweet was sent with the hash tag #noflaresjustlight. 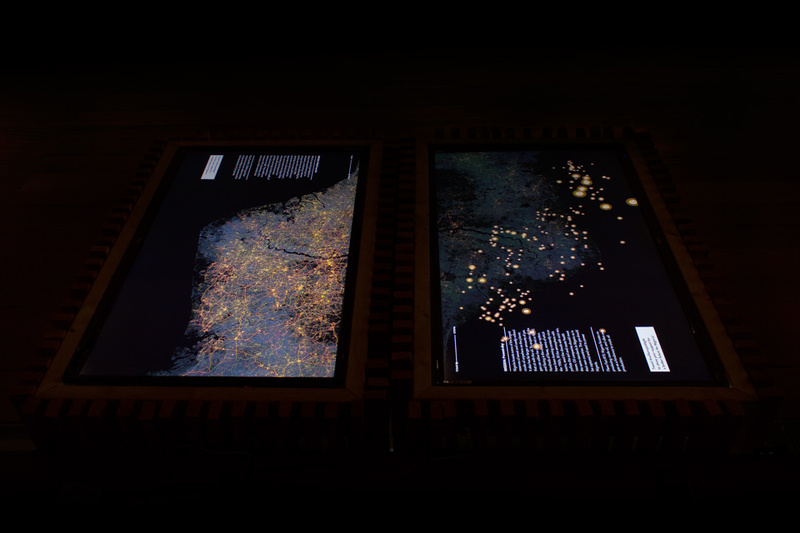 Two Raspberry Pi's were used to show the maps on two separate 50 inch screens in 4K resolution, each screen focusing on either the current or the "utopian" view of Nigeria.